There's just something extraordinary about that Salma Hayek. I do feel like there's a real need for all the environmentalists to get together. I can go through long droughts. I do sometimes think I probably could have become a scholar in multiple languages and learned various martial arts and acupuncture. I could have written books, given all the time I spent chasing women. I got a note from my mom, and she said, 'You finally arrived. You've been nominated in the same category with Christopher Plummer'...So, I got my mom's approval, which is enough, you know what I mean? I don't need a statue. We need to support the companies that support the earth. I do smoke, but I don't go through all this trouble just because I want to make my drug of choice legal. It's about personal freedom. We should have the right in this country to do what we want, if we don't hurt anybody. Seventy-two million people in this country have smoked pot. Eighteen to 20 million in the last year. These people should not be treated as criminals. I look at being nominated as a win. I have to think that way, I think my chances of winning are probably about less than one per cent. New Updates! (4/20/2019) We've been working really hard on completing our membership system so you can submit quotes and keep track of them. Once this is complete in the coming weeks there will be a lot more quotes by Woody Harrelson and other authors. 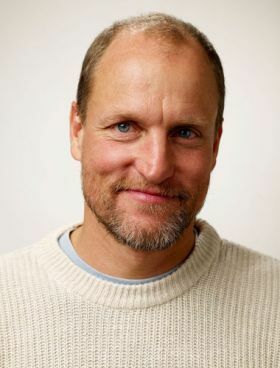 We've also changed the sorting on the site so you now see the latest Woody Harrelson quotes first. Our goal is to have the best Woody Harrelson quotes on the web!